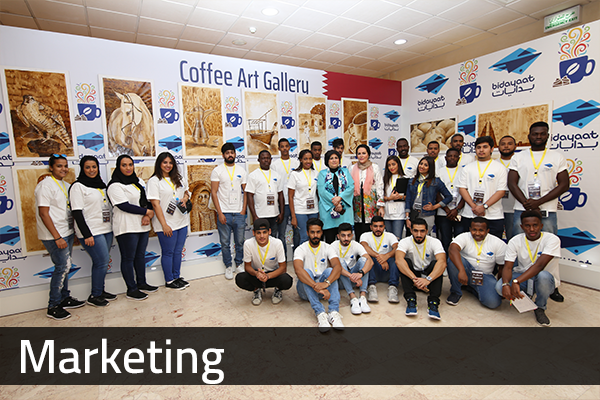 Established in 2012, Bidayaat is an integrated marketing and event management company based in Bahrain. We do not only offer the highest standards and goals but aim to become the one-stop station to satisfy all your marketing needs. With our expertise in Below-the-Line marketing campaigns and team of creative staffs, we are confident in becoming your essential marketing partner in your pursuit towards business excellence. We manage and organise all types of events such as corporate event planning, dinner and dance, product launches, media launches, exhibition, road show and many more. Trusted by major brands, corporations and government agencies, Bidayaat has executed number of successful events and campaigns.